Derek has been making me quite the list for his own Christmas gifts. I challenged him to do his first blog post on mens gifts for 2011. He did a pretty good job! 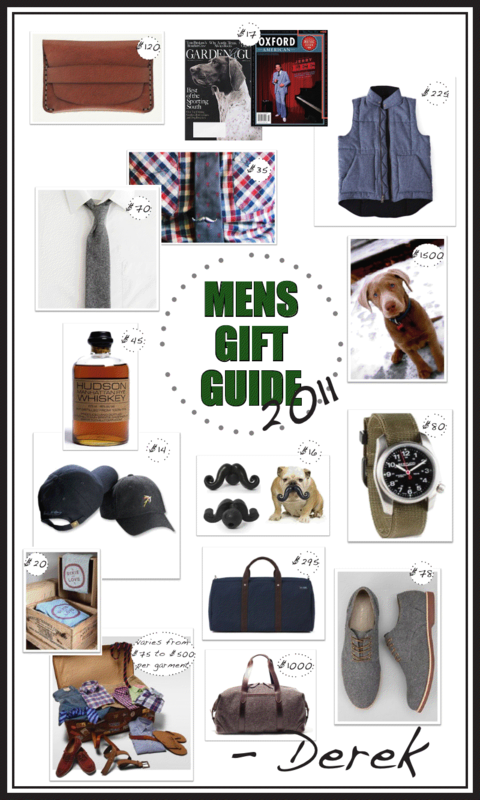 Ladies, here are some good gift ideas for your hunk. This entry was posted in Fashion, Website finds and tagged gifts, mens clothing, mens gifts, silver lab, truck club, wool. Bookmark the permalink.